Summer is here! And you'll love this month's freebie from our sponsor, Spanish for You!. 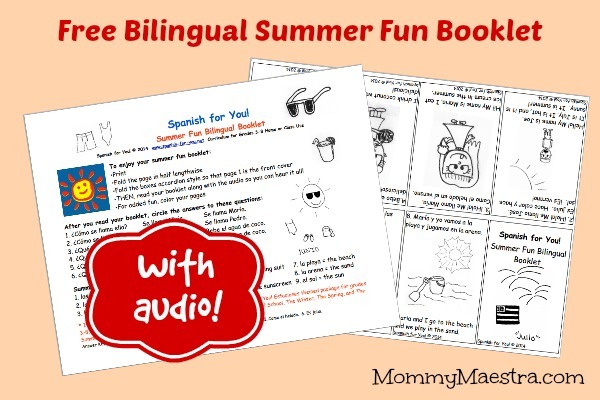 This bilingual summer fun booklet is great way for your child to practice their Spanish and learn new vocabulary. As usual, this great printable comes with an audio download with all of the vocabulary words to help learners with pronunciation. If you are looking for a curriculum to help your child learn Spanish this summer, take a look at Spanish for You!. The lessons take 15 - 30 minutes a day, and they use a lot of fun, interactive games that help your child remember new vocabulary. They even have free mini-lessons and worksheets for you to try out.